Audiences are just about one month away from the release of Rogue One: A Star Wars Story, which is the first of a series of anthology films announced after Disney's acquisition of Lucasfilm -- and, of course, the first Star Wars film to be released after the record-breaking The Force Awakens. But the movies are not the only way for fans of Star Wars to get their fix. Since Disney's acquisition of the Star Wars franchise, the company has released novels, comics, and the Star Wars Rebels television series. Most of the recently released canonical works have taken place after the events of the Star Wars prequel series, which makes sense, as Disney looks to build the history leading up to the final two installments of the sequel trilogy, not to mention the rest of the anthology films. This could also be in response to the lack of enthusiasm towards the prequel films, which were generally ignored in The Force Awakens. And while the first of the prequel films, The Phantom Menace, is a recipient of decidedly mixed reactions, it did spawn one cool looking villain -- Darth Maul. The Sith apprentice recently returned to television in Star Wars Rebels, but to date, has not featured in any canonical works taking place prior to his appearance in The Phantom Menace. That, however, is about to change. USA Today reports that Darth Maul will appear in the Marvel Comics miniseries Star Wars: Darth Maul. The comic will debut in February, and will be written by Cullen Bunn and drawn by Luke Ross. The series is set to explore the Sith's origins prior to appearing in Star Wars: Episode I — The Phantom Menace. The report states that the comic will find Maul at a point where he is training under Darth Sidious, but not yet allowed to engage with the Jedi. The series will also introduce Eldra Kaitis, a young Jedi Padawan who Maul will try and turn to the dark side. 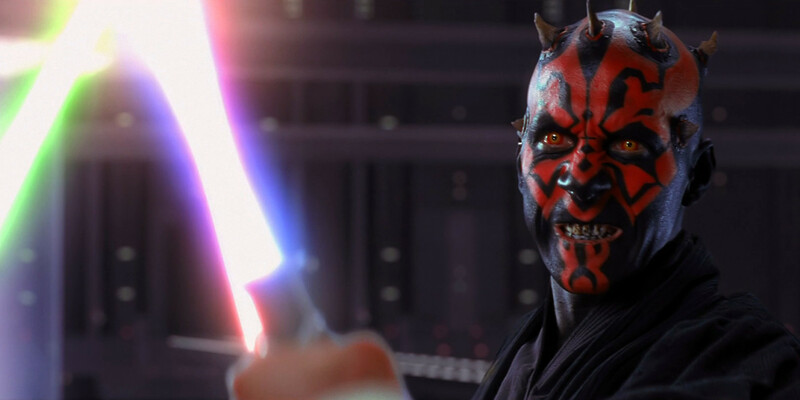 Regarding how Darth Maul will be portrayed, Bunn says he is particularly interested in the scene from The Phantom Menace where the Sith paces back and forth impatiently waiting to fight Obi-Wan and Qui-Gon Jinn. “I like seeding where that impatience and anger comes from,” the author says. The series will be released in February, and sounds like a must-read for fans, in particular, those of the prequel trilogy of films. Perhaps this announcement is also an indication that Disney will begin looking to explore the events of that trilogy more going forward.